Clinic 36 Hair and Beauty Salon was established in Darlington in 1976 by Tim Hinton-Clifton and his wife Susie Hinton-Clifton. 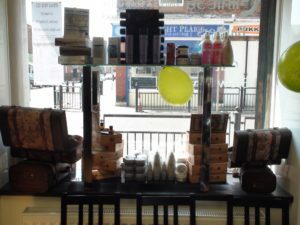 Today, Clinic 36 Darlington is recognised around Co Durham as one of the finest hair and beauty salons with a reputation for excellence in all aspects of hair care. As a family owned and run business, Clinic 36 cares passionately about the well-being of its clients. It’s that personal care and excellence of service that means customers stay with us for years and years – in many cases several generations from the same family have been Clinic 36 clients! What makes Clinic 36 so different? When you book with Clinic 36 you have the peace of mind knowing that our stylists are Senior State Registered Hairdressers (SRH) with the Hair Council. 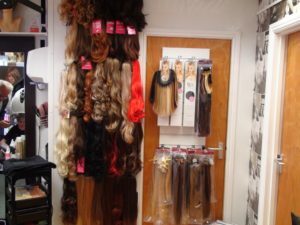 This means that they have gone through an intense training programme and achieved high levels of competence in all aspects of hair cutting and styling. That’s why we believe our hairdressers and beauty therapists are the best of the best. They are highly skilled, brilliantly trained and are experts when it comes to recommending the perfect cut, colour and beauty treatment to suit your specific needs. It goes without saying that Clinic 36 is renowned as a benchmark for best practice across the hair-care industry. To provide a world-class service for cancer and alopecia patients which helps to relieve some of the emotional and physically draining aspects of their condition.